H1B visa holders sent back at Port of Entry. AVOID travel to India / Home country. What can you do to make your Case stronger at port of entry ? Home » H1B Visa & Consulting » H1B Visa News » H1B visa holders sent back at Port of Entry. AVOID travel to India / Home country. What can you do to make your Case stronger at port of entry ? One of the shocking news that I heard recently from my friends and also highlighted in news websites like Rediff News is few of the H1B visa holders were sent back to India at the port of entry. This article is about the incident and caution to avoid travel. This incident happened in the first week of January at the port of entry at Newark, NJ. At least five of the H1B holders who came in a plane from India were sent back home. I do not know info about all the victims, but one of them was working for a mid size Desi consulting company in US. As usual the person had a very good consulting job and was working in US for a client. The person went to India, got H1B visa extension stamped and came to US with all the proper documentation to Newark. At the port of entry, the H1B holder was questioned by Customs and Border Protection Officer (CBP Officer) and was sent back making the H1B holder sign I-275 form. There was no proper reason explained. It does not make any sense logically, but imagine in the person’s shoes and think of you answering to CBP officer. It is a very tough situation. Well, the reality is, you can never question the Visa officer or anyone who deals with immigration. It is exactly same as we going to visa stamping in India, the Visa officer just denies F1 visa without giving any proper reason to us. That’s Visa Officer discretion. Bottom-line, all the people travelling to India especially as a H1B holders need to be cautious and should NOT travel. H1B visa holders, Please avoid travel to home country or other country if you can. Take the big risk, go to home country or any other country , and take a big chance at Port of entry. Do NOT take risk and NOT go to home country and avoid the situation. The wisest thing, provided if your situations permit, to do is to avoid travel to your Home country could be India, Sri lanka or any other country on H1B visa. You never know, may be 98 percent of the people come through the port of entry, still there is 2% people taking the hit and thats the risk…why take the risk ? Especially with the new rules of H1B visa for 2011 multiplied with all the macro economic factors like recession, it is a very risky bet. But, you will have to remember it happens may be only very few, one in 500 or 1000, I do not know the statistics. But, people only talk about negative things and make a big deal about everything. People do not talk about how many of them came through the port of entry successfully. I will try to post some information on few success at Port of entry as my friends recently came back. If you have to travel, what can you do to make your case stronger at port of entry ? Well, the main reason for all the fuss around is the new H1B guidelines and the implications to existing H1B cases. This is what USCIS says about extensions and logically thinking, they expecet the H1B holder to have valid documents as listed below based on the regulations memorandum released. This is for the extension only. Also,talk to your employer and get to know the details of your H1B filing and details like how the H1B was filed and How was the client company presented and How your skills were presented in the original petition. Your explanation should be congruent with the filing of your original and extension of H1B visa. Any discrepancies between your employers and your statements will create unnecessary troubles. Just take time to study your history of H1B petition and work with employer and get to know all the details. Your employer is your best resource and can help you in this situation. Please add your US Port of Entry Experience for everyone's benefit. It is fully anonymous and will help many waiting for it like you. Article written in January, 2010. The below information is for your reference only, it does not apply to current year visa conditions. This post is just a word of advice and caution intended in good spirit to help H1B holders in US to take a wise decision about travel. It is not intended to mislead or scare you if you travelling. It does not happen to everyone, but just good information to know and be prepared with better documentation that can help you be prepared with enough documentation complying all the new H1B guidelines and answer questions at Port of entry correctly. Do you know any other instances where anyone on H1B visa you know were sent back ? Please share your experiences, it helps others …add a comment. Hello my query is as below. I am holding stamped H1B visa with employer A but now I joined employer B. Now employer B asking to travel USA with old visa(employer A). Employer B will transfer my visa after reaching USA. Now my question is in the POE will allow me to enter as I am holding different clients letter which do not match with current petitioner? That’s not right. If at PoE they figure out that you are trying to do it and contact employer A and verify your H1B application info, client letters do not match, you would be in big trouble. If they deport, then you may be subject to 3 or 10 year bar from entering US for committing fraud, it all depends on how they decide when they deport you..so, do not try to do anything that is wrong and jeopardise your career. My wife is on H1 and is planning to travel in March last week along with me and return by April 1st week (April 6th) due to some personal emergency. Her H1 is expiring on June 22nd. Would it be a problem while returning at US port of entry. She has SOW till Dec end 2019. Have you heard of any such scenario getting into trouble. Got an email that H1B extension got denied on Oct 2 2018, I-94 is expired for 35 days – Can I continue to work with my previous i-94 which is valid till Oct 25 2018? No, the denial date is what matters and old one’s validity does not matter. Hi, I have my visa stamped till Feb 28, 2019. I want to travel to India on Aug 25, 2018 and come back by September 15, 2018. Hi, I am on h1b visa which is valid till Feb2019. I have travelled to india on a personal emergency. On the day of my travel an amendment application has been filed for change in LCA for the same project and same location. Can I travel back to usa with my amendment application in progress at uscis? On the basis of my experience, i will say, Yes you can travel back home to India on the basis of receipt. I had a Employer Change recently. went back on only Receipt. Came back after getting my Visa Stamped. There was no issue of any kind during and Visa Stamping and then at POE. I think you should not worry and everything should be good. I have stayed in India for Over 10 Months after I had H1B stamped. does this affect my POE? i have client letter and Documents. What might i be asked at POE. I have already been in the USA as a student on visa since 2008 then on OPT and now on h1b. I did Work on H1B for 3 months before I left for stamping., i Heard there had been Lot of Issues Regarding POE just wanted to make sure. Any extensive checklist for POE will be helpful. We do not have much statistical data on the issues at POE, so do not be worried. If you have all the documents and you have a genuine case, you should be fine, even if they take you for secondary inspection. Make sure you have latest LCA, Offer letter, etc that is listed in the article. Iam on H1 b through Company A that was valid till 2018 and in between got my employer changed to employer B that places me to different Clients to work for. Visa is Stamped with Company A only as of now. Recently, i got Visa Transfer changed to Company B and got my validity extended to 2020. I have just Receipt No. only so far and online status shows approved. Now, i want to go back to India this time to visit my family. In paper work, i will have visa stamped of previous company A’s visa stamping. Other ones, i would have old I797, Company B will give me his appointment letter, pay stubs, Will Carry last year W2 and tax filed also. You will need the latest approved I797 from company B while entering US. Will I also need Stamping again showing new Company B as new employer? Is it safe to visit India and attend visa interview for H110 stamping. I came on F1 Visa to US. I have been working on OPT Since Feb 2017 and my H1B got approved. 1. ) Since H1B is beginning from Oct 2017, would it be a good idea (safe) to travel to India in Nov for 2 weeks? I can officially take a leave for 2 weeks from my employer’s end. 2.) After receiving I797A Notice of Action Form for the first time, what are the next steps? Do I have to get my passport stamped from US Embassy immediately even if I am not travelling? 3.) Does H1B Passport stamping takes place at Airport or an Embassy Interview is must? Please guide. Thank you so much. I am travelling this week with ext stamped passport, original i797 and location amendment recipt. Can I travel with amendment receiot alone. My POE (PHL)is in different state, but its just 30 miles away from my work location which is in another state(NJ). Will this be a problem? Do I need to fly only to the state where my work location is? PS : I have all the documents. hi saurabh, i was issued 22 cfr 41.122(h)(3) at port of entry, what next ? should i apply for new h1b or giving any explanations to uscis,if i go to embassy for stamping again, will he give me the visa ? Sorry to hear about your situation, what exactly happened ? Can you share the details ? Was it because of employer or anything to do with your profile, etc ? I dont have a client letter and project details , they have taken my mobile and saw all our conversations in whats app , he said to stamp it again and come. I would like to know wat r the questions he will ask here in embassy. Will i get the visa again ? Yeah, that’s tricky to go without that info. Do you know how your petition was filed by your employer ? Internal project or client project ? Did they ask you sign any form ? Which location was this ? I have travel Plans to India later in the summer . I am also working for a consulting firm (two layer vendors). I will be getting my visa stamped (drop box). Also I recently got a name split on my new passport and H1 still has FNU. Will that be issue at POE. I was going thru the comments and one recurring theme that I found was that in a vast majority of cases, the people facing more qns/refusal at POE are working in consulting firms. So, I was wondering if there is any instance of further questioning, etc for non IT people who are working directly for an American company that is not H1B dependent. Please respond if you are one. Rarely happens. Most questioning happens for folks working for consulting companies in a project-client setup. And the reason is that consulting companies have a history of faking projects to apply for H1 or L1. Situations where one would be selected for a visa (in India) while in bench, just as an appeasement tactics by these companies. So, it’s easy for the officers to delegitimize even genuine cases, and to be fair, you reap what you sow. If companies abuse the system, they should be ready to take the abuse back. The only people who will suffer are the employees. I am worried , I have plans sponsoring few family members , we had long time plans becoming US citizens. I can work for Americans for the least amount of salary if I could get entry. I dont know these crazy Americans why they elected this president. I mean we work cheap , we not stealing american jobs and whats wrong with it if one hires cheap labor. We Americans are not crazy. Do not insult our wonderful country, especially while leaving yours and begging to become part of it. Also, attempting to abuse our system to sponsor more foreigners. “Cheap labor” depresses Americans’ wages (those of us who attended school and paid American college tuition because our government does not foot the bill for our education), so you ARE taking American jobs ( just ask the engineers at Disney and IBM). I was denied port of entry , please rethink before leaving India. All my plans are screwed up. I dont know what i am going to do. Can you explain about the reason why you were denied at POE? I am sorry to hear this. Can you give us more details. When did this happen to you. Were you given any reason for this. I was denied port of entry at Boston. I have been working for the same client and employer since 2012 and been in the country since 2009, came in to do masters and then started working. I was stamped an admitted stamp by the officer and then got my visa rejected. The reason I was given was that there is a new rule which says working EVC is misusing H1B. I ask why did USCIS even approve our visa if it was misuse of H1B? Sorry to hear about your situation. What exactly happened at POE ? Was there secondary inspection ? It is very hard to take it, but would be great, if you can share your experience anonymously on the POE Tracker for everyone’s benefit. Exactly same thing happened to me recently. Could you share experience what was next steps ? Your comment appreciated. I have travel plans later in the summer. I also work in EVC model. Can you pls share your experience. Were you denied port of entry at Boston? Could you please share your experience. Have you got your visa stamp again. Stupid fellow dont create unnecessary articles, people are already in standby mode. If they have some reason to go back home…let them go back if its important. Try to create some awareness instead of narrating your friends story. My visa is getting expired Aug 10, 2017. I have filed for extension in Apr, 2017. Due to some emergency I have to travel to India ASAP for one month. Is it safe to travel now? I will be back on May 27th 2017. This is not hate speech, but already more then 80,000 people from India come a year to america, most of those people are abusing the H1-B visa and get away from it. My brothers company got taken over by an Indian firm and everyone got fired after they trained their untrained replacements. Now he can’t find a good job and might have to move out of his house. Not hating just think about it. The only reason most workers are brought over is for cheap labor, they take advantage of Indians by paying them usually below minimum wage. Look into it, its true. I am in a similar situation. My H1B expiring on Aug 7, 2017. I 140 pending . Due to family emergency, had to come to india. I want to return to USA between June 23 to June 30. Is it safe to travel back ,with just one month on the H1B visa , I 140 pending . What would be at POE for any one in situation like me. Any one who were in the similat situation and experience. Please write. My visa is getting expired June 30, 2017. I have filed for extension in Feb, 2017. Due to some emergency I have to travel to India ASAP for one month. Is it safe to travel now? If yes, by which date should I return so that there is no issues? This is my second employer on h1b. I have all the paper work and client letters. My only question is if they ask why u didnot go to india for a 2 yrs then what will be my answer in stamping. Shouldn’t be a concern. No one has ever been asked why they are returning to India after so many years. If asked, you can say work. Hello. I am currently on H4 visa and travelling to india in july 2017 for a 1 month holiday. I would like to know the scenario for H4 visas. Will I face any such situation at POE ? Should I travel ? You should not really worry about anything, as long as you have all documents and you have not done anything wrong. Make sure you carry all documents related to your spouse, you should be fine. I have valid H1B /I94 till Aug-10-2017. I have travel plans this April. Will there be any issues at POE because Visa validity is less than 6months when I return in May-27. I will be filing for my H1B extension after coming back. No issues due to less than 6 month of visa validity. If asked, tell the officer that extension will be filed soon after you enter US. My H 1b visa will expire in September 2017 and I have to leave US for 4 months. I will be filing for extension tomorrow ( April 18th, 2017) as I will be gone for a few months. Will there be a problem while coming back into the US if the extension is approved in the meantime? What issues I will face with regards to I 94? This is tricky situation. Your extension could take 6-8 months to process as there is no PP option. Once you leave US, 797 extension would continue but I-94 extension would be abandoned. 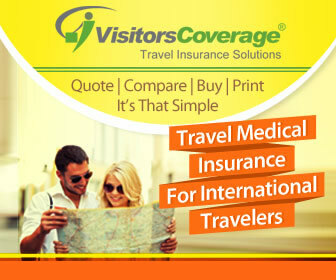 To return to US, you will need to have an approved extension and visa stamp. I assume your current 797 is also valid until Sep 2017. So you can use current extension and stamp to return to US prior to Sep 2017. After that, you will have to wait for extension to be approved before returning to US. Even if you return prior to Sep 2017, your pending extension would not be approved w/ I-94. So that needs to be amended soon after. Makes sense? Do you have tentative return date in mind? Can they file extension after you return to US? I would be traveling to SJ, CA next week but would be staying at my sister’s place (she lives there only ) temporarily to sort my accommodation for days ahead. But in the DS-160, I mentioned a hotel name through the Company I work for. Will this be a problem at the POE? I have got new H1 be stamping in March 2017. Any my job title is Programmer Analyst. I would like to travel to US in June first week. All depends on reputation of your employer. If your employer is not H1b dependent then you are good for POE. Any new rules are mostly affecting Indian companies like infy, cts, TCS and all H1b dependent companies who have misused the H1b visa program for decades now. Even my case is similar to yours. As per my LCA my designation is Test Analyst I work for reputed Indian company with all the document’s intact and I have been working for a Client in US for More than Four years and Been with the Indian IT company for more than 10 years. Please do not believe on this kinda articles..It’s all non sense. I was in India from feb to March..Got my visa stamping done through Dropbox in Mumbai.No issues there.Came back to JFK on 21st march. The immigration officer was very nice and asked only one question.”what work you do.” that’s it and I was in US very next moment ..
please do nor panic.If you are staying here legally nothing to worry about. It would have been better had you actually read the article especially the opening note in red “Article written in January, 2010. The below information is for your reference only, it does not apply to current year visa conditions. You may read the comments section and Check out POE Tracker for current situation”. The article is not non-sense as it really happened in 2010 (when the article was originally written). If Article is from 2010 then why to publish it in 2017 at first place where there are lot of uncertainties already..it’s misleading people. also I have been living here since 2006 have traveled to India every year.. it was never like “DO NOT TRAVEL TO INDIA” situation if you were here legally. The article has been on this site since 2010. The date got updated when new links were added to link to the PoE Tracker. And if you go to the tracker it contains experience of a H-1B holder who was turned away from PoE after secondary screening. As the article suggests, in 2010 there was a memo that gave the impression that its illegal to work at client site on H-1B. That caused bunch of H-1B people to be turned away from East Coast (don’t remember which airport) before cooler minds prevailed and clarified it to the CBP. At that time there was lot of confusion about the travel on H-1B – hence the article. I don’t mind if someone challenges the date of the article but your opening comment suggested that the whole article is fraud which it is not. To add to Saurabh, the article was published in January 2010, when H1B Holders were sent back from JFK. You can verify other news sources as well. For instance, check Rediff – H1B Holders Sent Back . We have no reason to mislead or confuse anyone. We do NOT remove articles on the blog. If info is not current, we try to put a note on the top, similar to this article, so all are clear. Can you pls explain the stamping via drop box? Reason being I am planning to travel to India in May and would need to get my visa stamped due to change of employer. As and when I fill-out DS-160, will it ask me as to whether its a fresh visa stamp or a transfer stamp and accordingly propose drop box vs in-person? Hi,I am traveling on 16th April to Mumbai having H4 renewal visa stamping. When I filled online form160 it’s shows me eligible for interview waiver. So I had complete former and submitted. I got receipt for drop box. Does it means drop box has been started again? My I good to go and submit as per drop box? In general, as long as you have valid visa and all documents, you should be fine… There are always few cases that end up in secondary screening, which is normal, never gets reported. But as always, the disclaimer from US immigration is that “entry is always in the hands of POE officer and there is nothing called guaranteed entry…”. You can check POE tracker listed on the page, to get some idea. I have valid H1B /I94 till sept 2017. I have travel plans this March. Will there be any issues at POE because Visa validity is less than 6months when I return in April. I will be filing for my H1B extension after coming back. No Issues. I traveled 2.5 months before my Visa expiration date and came back safe and sound. I’ve entered USA on 27th Feb and my port of entry was New York. I had absolutely no issues with the immigration and I was asked only one question, that’s all. Please don’t panic unnecessarily, if you have all the valid supporting documents with you. Good luck. I was analyzing this topic and comments and not only here in other websites also. I am on gc ead with advance payrol and debating to visit india in first week of march.But there are so many rumors in market.If u see real data with the people who are coming back i see only positive answers that they came back without issue either it is h1b h4 l2b l2 or ead if they have valid documenation people are coming back.Majority of negative data that suggest not to travel is from people who are saying i heard from my frd or my company .They dont have facts..i may be wrong but if u search internet not even one person has written that he was denied from poe..thoughts.. I entered US on Feb 18, 2017 at SFO on h1b visa. There were no issues for me. Officer asked me few questions and that’s it. It was all done. Thanks for sharing. Can you please add your experience at http://redbus2us.com/trackers/us-poe-experiences-tracker/ for everyone’s benefit. I currently work in US on H1B in a product based company. I went for vacation on Jan mid and retuned on Feb 1 Weekend. I had my immigrations in Abu Dhabi since flight was Eithad and I didn’t have any issues there. Thanks for sharing. Would be great to add your experience at http://redbus2us.com/trackers/us-poe-experiences-tracker/ , it will help many. I hold indian passport. My H1b is valid till mid may 2017 and I have plan for cruise trip to mexico in the first week of March for 4 days from Florida. My H1 B extension is process which was filed couple of weeks back. I have few queries. 1. Will it a problem coming back to USA as it will be almost little more than 2 months when my visa expires? 2. It is fine to travel when extension decision is pending? 3. Generally decision for H1 B extensions comes around 3 to 4 months time but in case if decisions comes in those fours days will it be problem for me? Will new I94 date become invalid in this scenario? 1. Will it a problem coming back to USA as it will be just little more than 2 months before my visa expires? I have planned to visit India in March -April 2017. I have to Kids US citizens . I Am midway through my Green card process . My second term H1B is valid until 2019 October . No matter what ever the rules changes , human respect and dignity should not be played with . Australia is the best country because nowhere in any Australian airport are people stopped for their religion or race or color or anything except if they bring pickles , fruits, seeds, meats etc . After getting AUS PR you moved to US? Till when is your pr visa valid in aus? If it has been expired already how do u renew it? I work for a very large Indian IT company and part of my job is to monitor visa related issues. Our analysis shows that denial of entry at POE has risen from practically 0% to 12% over the last two months. The denials are for H1 and L1 visa holders. No denials for dependent visas. We found no correlation between answers given by the employee and the decision by authorities. it is all very random. We are advising employees to avoid all unnecessary travel outside the United States. Can you share how you got that 12% number ? That’s a lot. Is it based on any public data or denials from your large Indian IT company only ? Hi All – I recently traveled back from India, and i did not have any problem in POE @ Seattle. I came through seattle on 9th of feb, and i have been asked with regular questions [Who is the employer, who is the client etc.,]. I work for a india based MNC, and working for a client company on H1. Also, i had valid visa in my passport and so did not go to stamping this time. Hi – I was planning to go India on 16th Feb 2017, returning on March. I have my H1b extn stamping also ( through Dropbox). I am totally confused. Whether I should travel now or postpone my trip for now. I was in US on H4 visa and currently travelled to India in jan. My return tickets are booked for 14th mar 2017 via Etihad. Please suggest if I should get my immigration done at Abu Dhabi airport or after reaching US? Please suggest which is better In current scenarios. Yes In case of Eithad, Abu Dhabi you will have your immigration in Abu Dhabi itself and you will reach to domestic airport in US no more immigrations after reaching US. I am currently on H4 visa and my husband is on H1B. I have planned to travel to india in the last week of march for around one and a half month. Is it fine for me to travel or are there any chances on an issue? Please guide me. Please don’t go , my friend was stopped at Tampa airport and the security asked him so many questions and finally he had to withdraw his petition and go back . Hi , what is your friend’s visa ? Can you please give us the questions he was asked ? Sunil , not all the question but y he was asked to withdraw main reason . It would be of great help to many readers, if your friend or you can share more details on the context. I can update the article as well. Please post it here or email to [email protected] , either works. Would be helpful for everyone. I came to know one of my friend, he went India for H1B visa stammping on 12 Jan and Visa cell did not proceed and kept his application on hold. There might be issue in vica stammping until this immigration is finalised in US court. But I have two more friends with H1B and they are coming back from India to US . One will come on 8th Feb and other is on 12th Feb 2017. I will post here if they cross port of entry esily. I have also H1B vica and planning to go in March 1st week but I am waiting my these two friends come easily then I can think. Hi , any update from your friend who is coming today ? Hi Bharath , Any update on your friend those who are planned to come to us on 8th feb.
Did your friend return on the (Feb) 8th successfully? Any updates from your friends? My friend has come without issues yesterday night. Now I am waiting two more friends coming on 13th Feb. So good news for me that one of my friend has come without any problem. Who has extension and those have to go India for stammping, should aboid for now. 2 of nearly cirlcle friends application are kept on hold by Dehli visa cell, I do not hear this type news from Mumbai visa cell so if urgency try to stammping from Mumbai. Else who does not have to visa stammping just they want to meet family in India and wanted to come back, looks good for port of entry as of now. So pray to everyone, should not have any problem to anyone. I will update once 2 more frieds come on 13th Feb 2017. so far so good.. Thanks bharath. One more quick question can you check expiry for h1 who came without any issues. Ours is expiring this September . Will there b any problem if we r returning on march 6. Kindly post what questions were asked to your friend at immigration counter. Were they simple usual questions or are immigration officers doing some detailed checks. I will share the questions which were asked with my friend next two days. I just shared about my friend port of entry details. Did your two friends get their passport back which were on hold by the counsel ate? Yes.. He has come in USA without any issues yesterday..
Have your other friends reached to US without issues? Yes.. My two friends also came without issue. They went to get married. has anyone faced problem in H1B visa stamping recently. I need to get it stamped, therefore asking. grateful for sharing of your experiences. I have travelled plan to India from 9th – 23rd Feb. I am on L2 (EAD with green card awaited), and will be traveling with my daughter who is a special needs child and a US citizen. My husband will not be traveling with me. With the current travel ban and visa scrutiny, could there be a problem for me at the port of entry to US. Not sure if I should continue with my plans or cancel. Hi, I am also on H4 and have a travel plan , returning in first week of march. If you are travelling please keep us posted about the experience in POE. Hi , is there any problems at POE for new H1B visa travelling to JFK ,which is valid for 2years. It should not be a problem as one of my friend recently cleared POE (on Feb 01). Thanks Keerti for your response. I am glad to hear that. Hi , is there any problems at POE for new H1B visa travelling to DFW ,which is valid for 3 years , i am planning to travel on March 2nd. Is it safe for H4 to travel from India to US ? Are there any issues for port of entry for H4 visa? I have H1B visa until Mar 2018 and work for an India based MNC company. I am planning to travel to India for a vacation. Should I avoid the travel. What is your status going to be after that? Have you filed for renewal for H1B (3 yr extension)? I have asked my employer to file for the extension, as mine will expire in Aug 2017 and plan to travel in May 2017. You still have over an year left for I don’t think you will have a problem. I traveled back to US from India in Nov. 2016, with less than a year left on my existing H1B, no problems at port of entry; However with the existing scenario you might just want to tie any loose ends and make sure your docs are in order. Good Luck. I have similar situation. My H1B is getting expired in July 2017. I have travel plans in March 2017. I already filed H1B extension on premium. If I travel do I need to go for stamping if my extension is approved.? I will be coming back(April 2017) before my current visa expires. Were you studying in US with a valid F1 visa and you got detained? Can you please give us more details? No its first time entry for me. Yet to go POE. On what grounds were you revoked?? Hi Zo . I am not revoked, I have still time to go. Just wanted to know anyone effected. My situation is similar. My visa has been revoked recently on 22nd feb 2017 and genuine reason was given. I am planning to apply for Canada but I am not sure if this revocation will affect my application to Canada. Can anyone please guide? I have a question . My husband is on h1b which is expiring in sept 2017. This is our first 3 years in h1 b . Extension will be applied later next year. We have a plan of traveling in mid of February to India and return in first week of march. I keep hearing that immigration is going to be very strict. He has proper documentation from the client . It s a direct client of his employer . Will there be any problem in the immigration while coming back. We currently on Stem Opt, it will be expiry on July(2017). Our H1-B is in Process. We applied for an H1-B(RFE) on September. We have Planned to India on November. Our I-94 will until December 2017. Will be travel in this Month? If you travel outside US and H-1 is still pending, then COS from F-1 to H-1 would be abandoned. Endorse your I-20 for travel, so that you can return on F-1 in this case. Once H-1 is eventually approved, you either need to enter on stamped H-1 visa or file COS from F-1 to H-1. If H-1 is approved by the time you travel, then you will have to get H-1 visa stamped in the home country and then return on it. This article is pure nonsense. You are suggesting that we should not travel back to home country once you enter USA ? Instead, you could have tried to get some information on why they were sent back at the POE and prepared some details on how to avoid it. Suggesting to not travel home is rubbish, I’m so sorry to say this. I have worked in Saudi and have used this slavery type work system and sending people back is totally ridiculous . I am on my second term H1B and valid until 2019 and also Green card is halfway through . But I am keeping my Australian PR and will be visiting Australia later this year to renew and keep my Aussie connection alive . Love Australia for all the right reasons . They never stop people at airports except to check for pickles, fruits and dairy products . Love the immigration system of Australia . It is actually total nonsense, rumors are being placed all over the internet which is becoming News. If you are here legally, you have a valid visa, no one can stop you. I have so many friends and colleagues, getting there Visa re-stamped in India and travelling back to US without any issues. One of my friends was stopped for hour as he was not carrying his LCA and they took some time to verify everything. I have a query.my husband got h1b and his date of joining is 1st October.his employer is in ohio.he is flying to US on 23rd september but he will be going to Atlanta first. He will meet and stay at his relatives place for few days I’m atlanta and then will fly to ohio. So my query is that will there be any issue at port of entry if the officer asks why you are going to atlanta and not to your employer location ohio . 2. Take a letter from employer supporting this itinerary. 3. Carry domestic flights tickets for travel from Atlanta to Ohio.